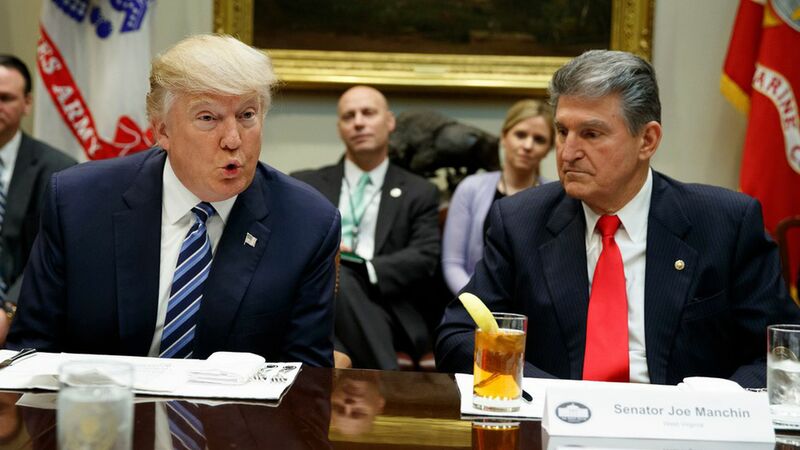 President Trump got a lot of attention for his Tuesday night dinner with three red-state Democratic senators, where he tried to win their support for tax reform. But here's the thing: This was not the start of a bipartisan tax reform effort. This was the White House's attempt to give Republicans a cushion in case they lose a few votes. Between the lines: It's not like there are any serious talks with Schumer or any other top Democrats. (Ron Wyden, the top Democrat on the tax-writing Senate Finance Committee, tweeted, "my invite must've gotten lost in the mail"). The White House has discussed tax reform with a number of Democrats, but Trump officials are working under the assumption that they'll be doing very well if they can convince three Democratic senators to support the tax bill. The bottom line: The White House did learn one lesson from the health care failure: It's a mistake to rely on Republican votes alone. But the administration's solution for tax reform is to give itself a little breathing room — not open the door to a broader bipartisan effort that would compromise what it wants to do. Director of legislative affairs Marc Short acknowledged this fact at a breakfast with the Christian Science Monitor on Tuesday. "We don't feel like we can assume that we can get tax reform done strictly on a partisan basis," he said.